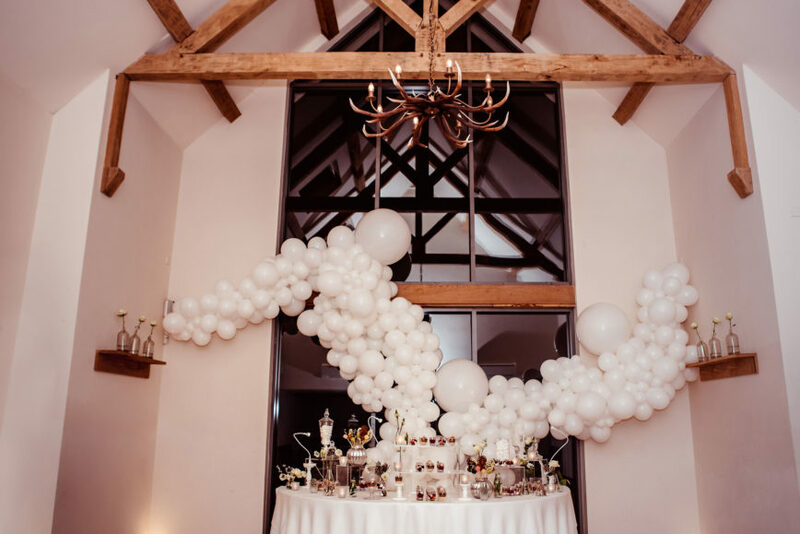 Over the years, we have seen Millbridge Court transformed in so many breathtaking ways, whether that be through stunning florals, creative styling, balloon installations, opting to have alternative chairs, tables and linens, to list but a few. 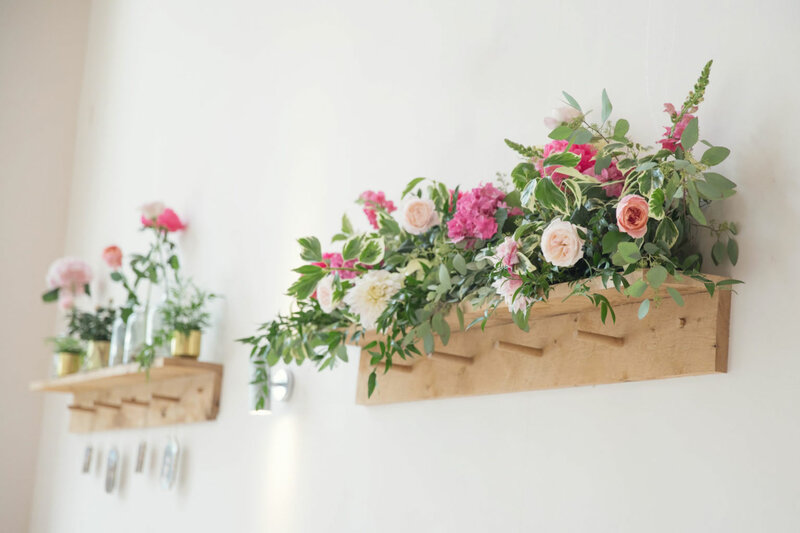 A popular way for couples, Florists and Stylists to get creative in the Barn’s has been by utilising our shelves and pegs which feature in both the Ceremony and Dining Barn. Throughout the seasons, we here at Millbridge Court style the shelves with three tall glass bottles which have an individual flower placed in each of them and for some Wedding Days, particularly those with a neutral colour palette, these are left in situ throughout the celebrations, however we also see couples choosing to style the shelves in a way that ties in to their style and vision for their day. 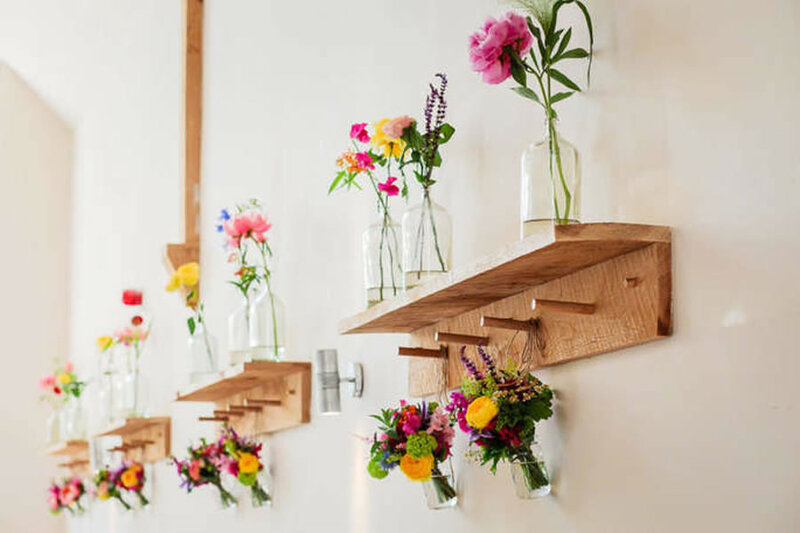 This might simply be by replacing the flowers with the type and colour of blooms that feature in their floral scheme, or it might be by adding flowers, plants, lights alongside the bottles, by hanging jars, ribbons etc from the wooden pegs or by removing the bottles altogether and adding abundant arrangements or cascading foliage. We have even seen some couples adding shelves in order to create a continuous arrangement down the entire length of the Barn. For those of you still planning your Big Day, we thought we would share a handful of images showcasing the multitude of ways previous MBC Couples have styled the shelves in order to hopefully provide you with some wonderful inspiration. Interactive Wedding Breakfasts have become increasingly popular in recent years & with Kalm Kitchen offering so many varied, innovative & utterly delicious options to Millbridge Court Couples, we thought we would ask Kalm Kitchen’s Pete & our very own Tash a few questions about interactive menus & we’ve also shared a selection of stunning imagery from MBC Wedding Days to leave you all feeling thoroughly inspired. Why do you think interactive dining has become so popular in recent years & what do you think this type of Dining brings to a Wedding Day? Pete: The Wedding breakfast in the past is a time for formalities with the Bride and Groom’s close friends and families. Interactive dining adds an informal feel to show the personalities of the couples and provides a social element to the meal. From a visual perspective it is an amazing abundance of pure deliciousness. Out of all of the sharing options you offer to couples, are there any particular interactive dishes and food stalls that are becoming increasingly popular for 2019 Wedding Days? Pete: The beauty is that each couple we work with have individual tastes that we can create bespoke ideas with and bring to life. My favourite interactive dish was bringing an edible potted garden to the table. The real treat is coming up with the delicious food combinations that fit in with the theme, we’re talking potted vegetables in terracotta pots with hummus and edible soil and a full abundance of gorgeous fresh produce for guests to create their own crostini’s. Absolutely delicious! How do you see this trend of interactive dining evolving in the future? Pete: I see many possibilities for the future of interactive dining. With technology always evolving we already have in restaurants, screens on the table to take orders. I can imagine to start with this would be pricey, but I can envision a wedding breakfast in full high technological fashion. Kalm Kitchen have always been known for their stunning Patisserie Bars and food stalls. What ways have you seen couples put their own stamp on or personalise their food stalls or sharing dishes? Tash: My absolute favourite is the fun the couples inject to the carve or slice at the table dishes, whether this is with personalised aprons, chef hats or comical moustaches, not only does this make for hilarious photos but it really changes the atmosphere in the room. The patisserie bar is always wonderful to see as it looks different at every wedding, with so many style options to start with the couple can really make this their own with their décor, whether they choose the copper arch and add the luxe with gorgeous flowers or they choose the Perspex clean line and then add a pop (not literally) of colour with some balloons. What recent Kalm Kitchen interactive creations have you been blown away by? Tash: I was lucky enough to be here when Kalm photographed their new stations alongside MBC Partner Hannah Berry, not only where all 3 stalls (DIY Eton Mess, Hot Chocolate & Honeycomb and Lemonade and Lollies) spectacular and visually impressive they were also delicious, I’m still dreaming of that honeycomb to this day. 1. How did your passion for floristry come about? Ever since I can remember, I’ve have always had a passion for flowers! The home is never complete without a flower in a room. I have always loved growing them, picking them and making things with them, whether it was creating pressed flower cards (when I was young) daisy chains in the garden, or drawing or painting them. Whilst working as a waitress at a local wedding venue through my uni years, I used to get excited to see the flower scheme arrive for that weekends wedding & I think that may have been where it all began! 2. When did you make the leap to setup HBF & create flowers for gorgeous Wedding Days & what drew you to Weddings in particular? Floristry was a career change for me … having worked in the television industry previously as a camera operator and editor, I found the job wasn’t fulfilling my creative side enough, so out of curiosity and love for flowers I looked into work experience in a local florist shop. My work experience soon turned into a full time position. 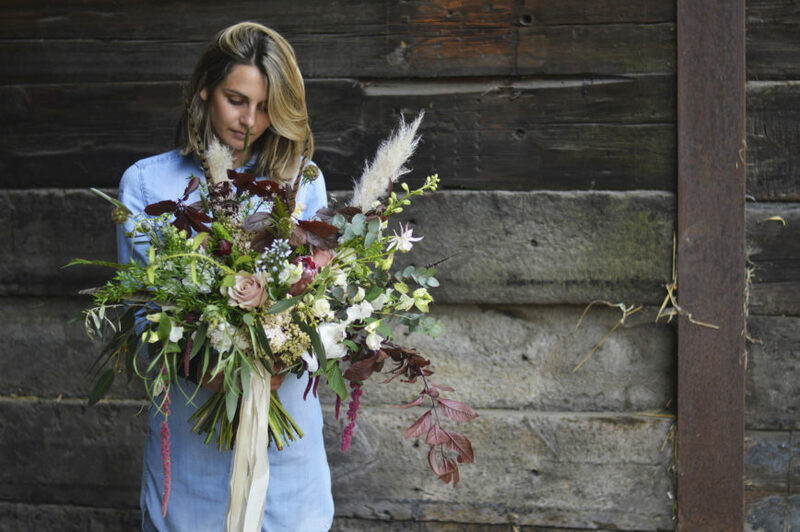 Without any qualifications in floristry, I longed to further my knowledge and learn new technical skills, so I enrolled on a course at Merrist Wood Agricultural college where I studied and gained my Level 3 in Floral Design. This provided me with the skills, technical ability and confidence to work as a freelance florist. For two years I enjoyed working with various inspiring and creative floral designers and from this point, I just knew creating wedding flowers was the career for me. In 2013 HBF was born and I haven’t looked back since. 3. How would you describe your style of floristry? It took a while for my style to evolve, but I can strongly see now my signature style is natural, earthy and organic for sure! Always lots of detail and texture and many of you will know I often love to add the odd Pheasant feather in! 4. What can couples expect when they choose you to create their dream Wedding Flowers? The design process and building a working relationship with each client is the most important part to providing the perfect flower scheme. Getting to know & understand the clients is crucial, so I always ensure that the design process is thorough. This can also be the most challenging part, as often the clients know little about flowers and it’s my job to take on board and understand their thoughts, ideas and inspiration and turn this vision into a reality. These lengthy design meetings happen in my studio and I provide bespoke detailed proposals and mood boards throughout the course of meetings. I never commit to more than 1 wedding a day as I want to provide all my clients with an exclusive service. 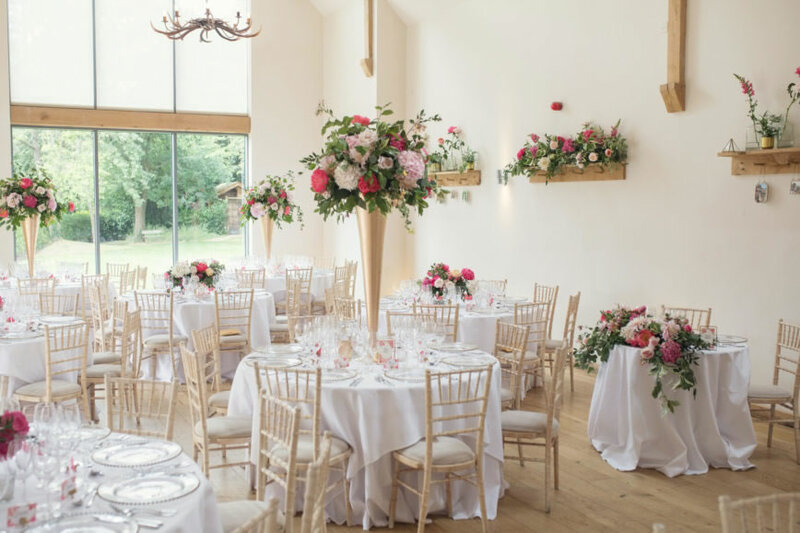 It will always be myself who delivers the flower scheme alongside my team and we will always be onsite for the day to deliver and install, pin on the buttonholes/corsages and transport all the flowers from the ceremony area to the wedding breakfast room after the ceremony has taken place. We always ensure that every detail, no matter how small, is absolutely perfect before we leave the venue. My favourite thing about creating flower schemes is starting with a crips blank piece of paper (normally the year before) and seeing the ideas and creations evolve. Delivering the bespoke flower scheme on the day of the wedding is the cherry on the icing and knowing you have worked hard alongside your clients to develop and create their dream flowers. 6. What top tips & advice do you offer couples along the way? I am always keen in using seasonal flowers (although most varieties of flowers are available all year round now.) It keeps the designs fresh and the flowers are usually better quality if its the right time of year for them. 7. 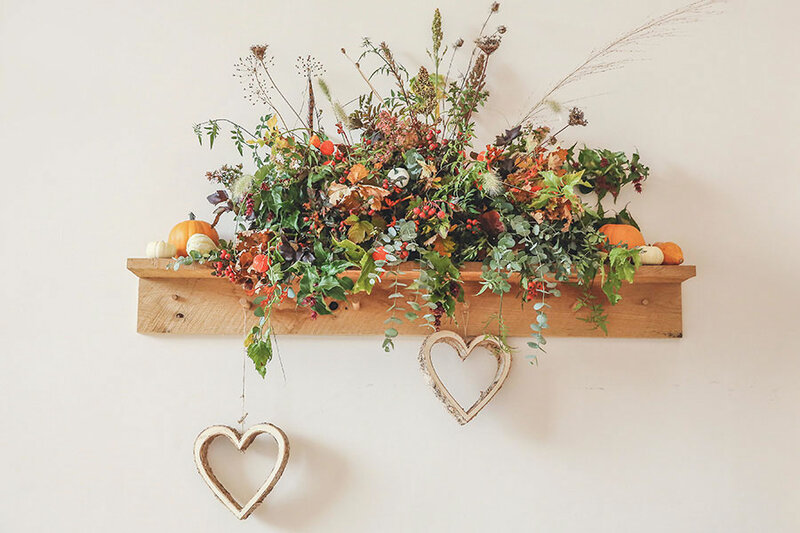 What floristry trends are you seeing for 2019/2020? 8. What do you love the most about Millbridge Court? Whats not to love … when you first enter through the front door, I always feel the need to take my muddy boots off as its like walking into a really homely room with the lush pink sofas and the smell of the scented Neom candle burning! 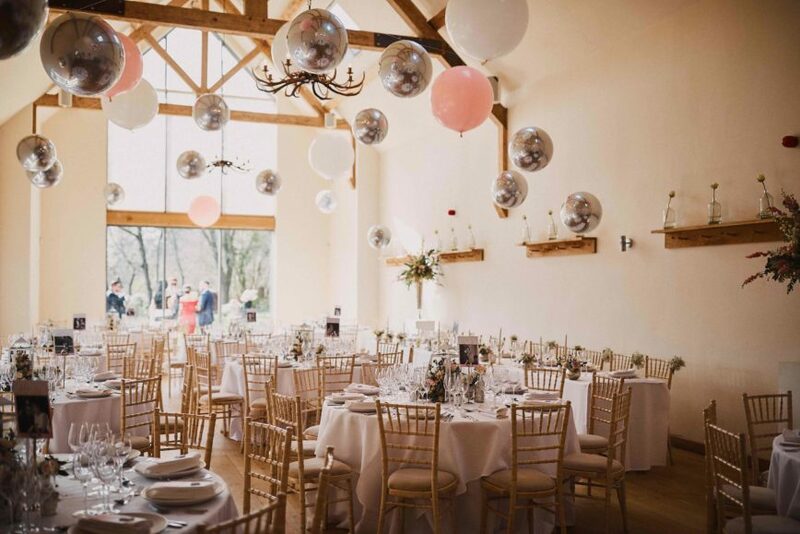 Then theres the 2 stunning barns which are a complete blank canvas for decor and styling. I feel this sets the foundations to each unique flower scheme. I often say the views from the outside ceremony space looks as though you are looking through a frame at a stunning oil painting landscape, with the odd cow grazing away. And the hidden bridal cabin (The Hideaway) – simply magical! 9. Outside of creating beautiful Wedding Flowers, what other hobbies/ passions do you have? 10. What are your three favourite industry professionals/ brands to follow on Instagram? Well, what an unbelievable year we have had here at Millbridge Court, filled with gorgeous Wedding Days, inspiring industry events, stunning Tasting Evenings & celebrations & much more. 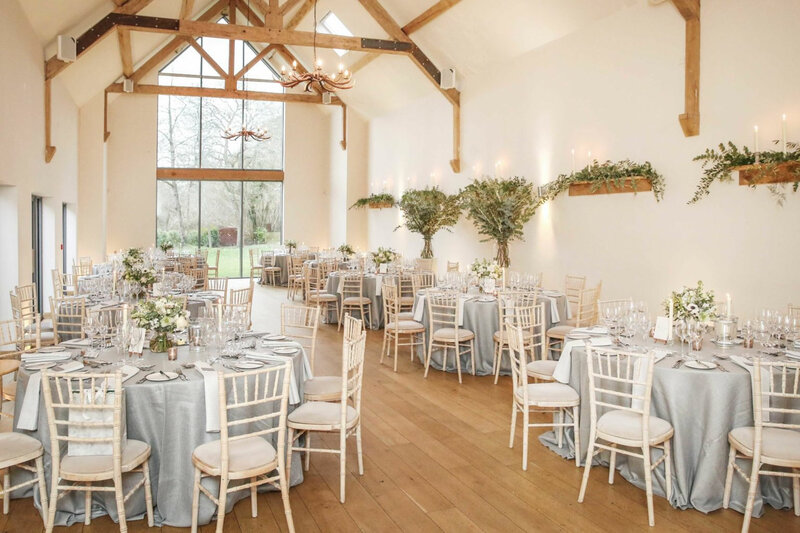 2018 has also seen some really exciting changes here at Millbridge Court, with the renovation of the Bridal Changing Room, the extension of the Outdoor Ceremony aisle & the creation of our Secret Garden; a tranquil space in front of The Hideaway that our Brides & Grooms get to enjoy throughout their Wedding Celebrations, & with our desire to always keep evolving, we can’t wait to see what the next year will bring. Thanks to the plethora of talented industry professionals who we are lucky enough to work with & who transform & capture the Venue on a weekly basis, we can share so much inspiration with all of our followers. From all of us here at Millbridge, we want to wish you all a very Happy New Year! We can’t quite believe how quickly this year has flown by here at Millbridge Court! We have been so lucky to have been a part of so many magical Winter Wedding Days throughout 2018 & so we thought, as the festive season is well & truly upon us, that we would share some moments from those really beautiful days with you all. There really is so much that we love about Winter Weddings, from the rich colour palettes, magical nighttime photography, Wintery shots of Brides & Grooms around the grounds, being able to make the most of romantic lighting throughout the day’s celebrations & so much more. 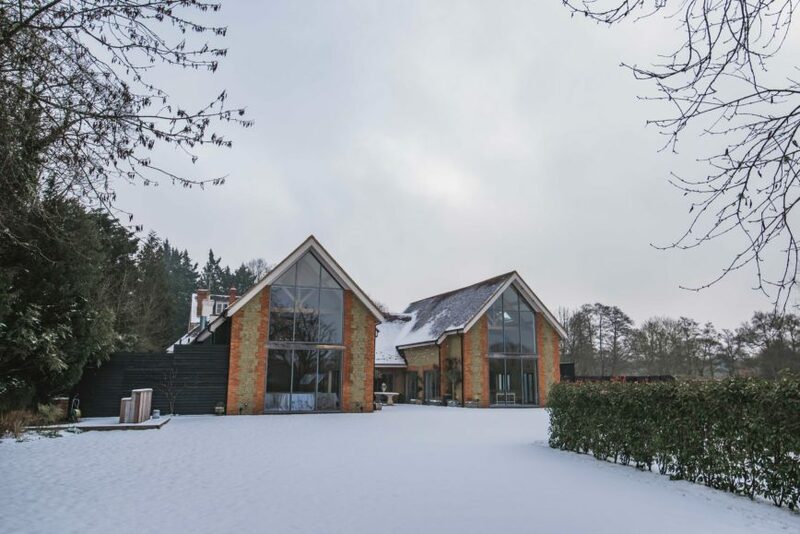 So thanks to the wonderful & talented photographers who have shared their images with us, we have put together some highlights from all of our favourite things about Wintery Celebrations here at Millbridge Court in the hope that it will give you all oodles of inspiration. Hoping you all had the most wonderful Christmas with your nearest & dearest! 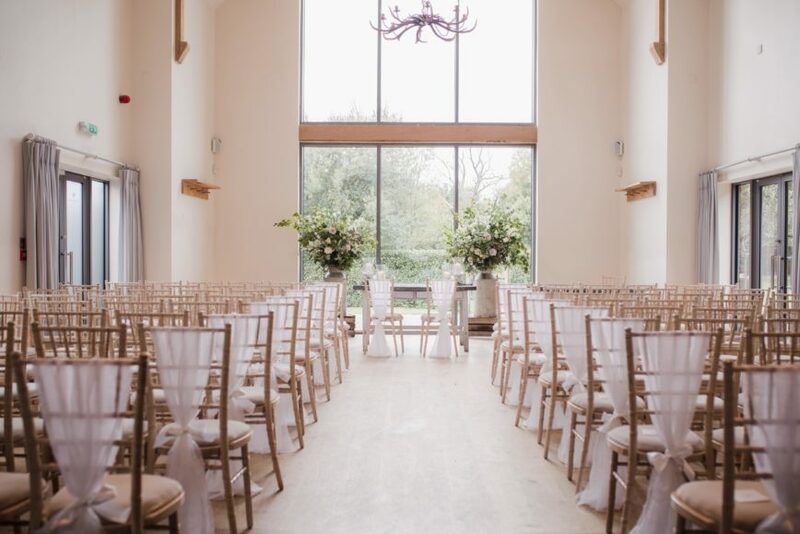 At Millbridge Court, we are lucky enough to have not one, but two different Ceremony Spaces. 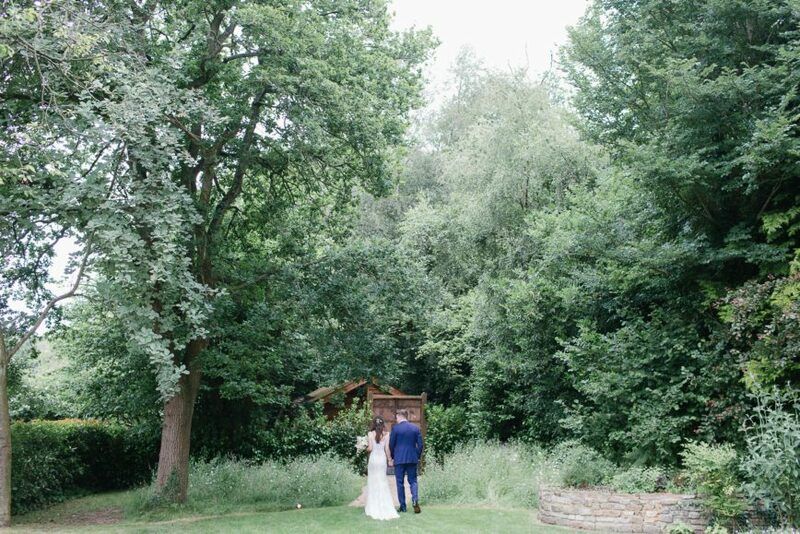 One that is set within our Arbor Garden & available to MBC Couples in the warmer months, where they can get married underneath our wooden Arbor surrounded by the Frensham Countryside, & another is in our Ceremony Barn, with high ceilings, oak beams & a stunning floor to ceiling glass wall. With both spaces providing neutral backdrops to Wedding Ceremonies, the Arbor & Ceremony Barn allow for a huge variety of styling options. 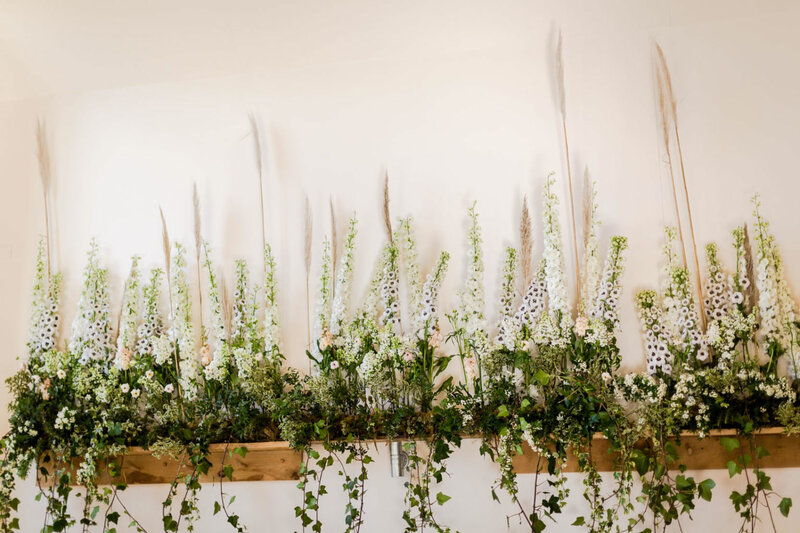 Whether your vision for your dream day involves abundant, countryside blooms, chic draping, seasonal styling or whether you want the natural beauty of the Arbor Garden or the minimal, contemporary design of the Barn to speak for itself, the possibilities are endless. 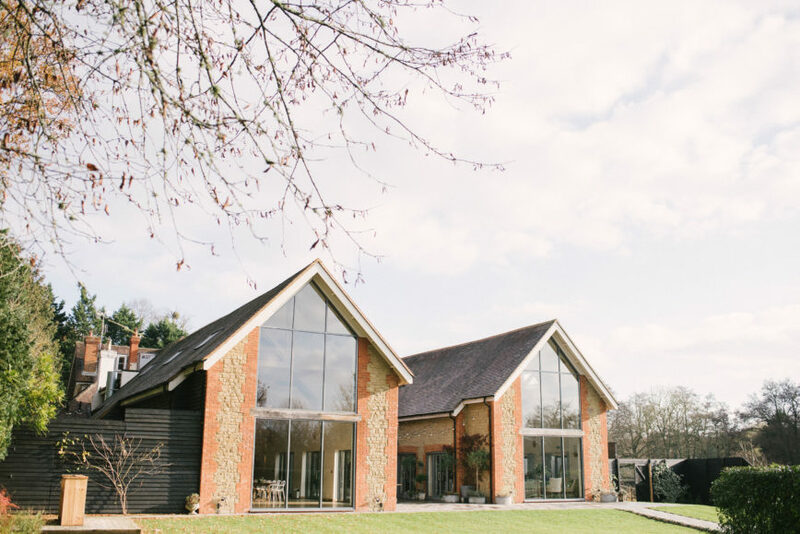 Below, we wanted to give you all some Millbridge Court Wedding Ceremony inspiration by showcasing a handful of ways in which talented industry professionals have brought our Brides & Grooms visions to life throughout the past year. Where has your passion for creating gorgeous cakes come from? For as long as I can remember I have loved to bake and experiment in the kitchen. It’s something I used to do with my mum and nana and I got hooked on making people smile with cake. When did you make the leap to setup MSK & create cakes for Wedding Days? After taking a sabbatical from my PR job to follow my passion and study patisserie at Le Cordon Bleu, I knew I wanted to make baking my career. 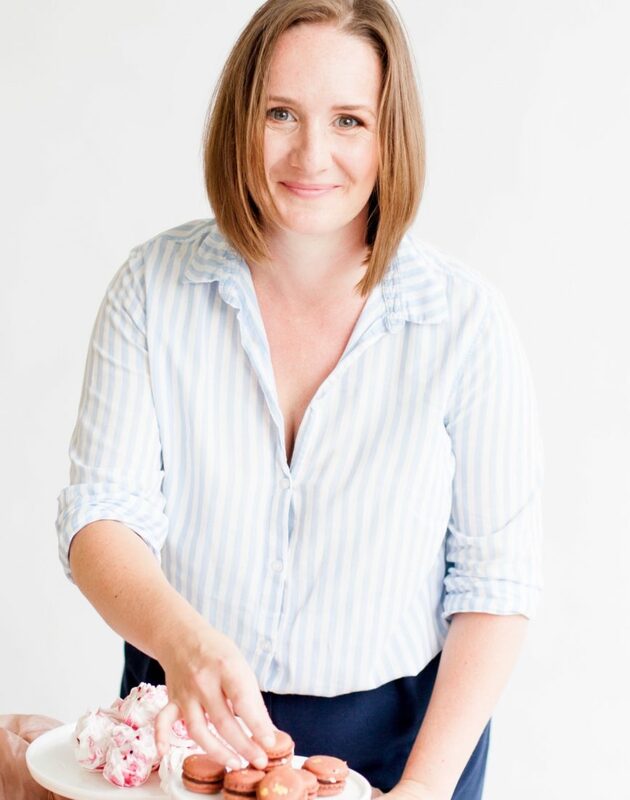 I tried a few different things from markets to working in a professional kitchen, but once I dipped my toe into making wedding cakes for friends initially, I knew I wanted to work in the wonderful world of weddings. How would you describe your style of cake making & decorating? Natural and abundant! My flavours and style are inspired by the beautiful countryside here in Surrey as well as classic patisserie techniques. I use swiss meringue buttercream to dress my cakes and love to work with fresh flowers and edible decorations like macarons to create something unique for each couple. All the jams, curds, caramels and ganache that fill my cakes are homemade in small batches so that everything is super fresh and full of flavour. What can couples expect when they choose you to create their dream Wedding Cake? After enquiring, each couple is invited to a consultation and tasting so they can try a selection of flavours while we chat about their wedding and ideas for their cake. I then put together a detailed proposal that captures the ideas we discussed and confirms their design and flavours, as well as the practicalities of delivery and set up on the big day. In the run up to the wedding I keep in touch with couples to confirm all the final details and also liaise with other suppliers such as florists who may be providing fresh flowers for the cake. It’s so lovely meeting people at such a special time in their lives. Being invited to play a role in their wedding has got to be one of the best parts of my job. I also really love setting the cake up on the day of the wedding. Seeing each couple’s ideas brought to life and all the details they’ve chosen is fantastic. Wedding mornings always have a special buzz to them and it’s amazing to be part of that. What top tips & advice do you offer couples along the way? I often talk to couples about their timings on the day as there are options for when the cake is cut and served to guests to make the most of it for their wedding day. Some people like to use the cake cutting as a focal point for evening guests arriving later, while others sometimes cut and serve it as part of their drinks reception. I also suggest putting a slice or two to one side for them to enjoy after the festivities as cake can disappear quickly! Have you found over the years that certain marketing platforms have been particularly helpful in growing your business? Instagram has been invaluable to me over the last couple of years. Being able to use it as a ‘shop window’ is brilliant. Working with venues and other suppliers to tag and share each other’s works means we can all reach a bigger audience and couples can easily find suppliers who are perfect for their wedding day. What do you love the most about Millbridge Court? So many things! The team is incredible and so supportive to couples and suppliers alike. Millbridge Court always feels like a home on the morning of the wedding, with bridesmaids in dressing gowns and families having a sneak peek at all the preparations. From a cake perspective there are also so many lovely spaces to set up a beautiful cake table that really allows your chosen cake to be a sweet centrepiece! Other than Weddings, what other occasions do you get asked to create sweet treats for? Other than weddings, I make cakes and pop up patisseries for all sorts of celebrations, such as birthdays, anniversaries and christenings. I’ve been asked quite a few times by former wedding clients to make a cake for another family celebration and that is always really special! What are your three favourite industry professionals/ brands to follow on Instagram? Can you believe it’s September this week?! Nope, us neither! It feels like our first Outdoor Ceremony of the Season was only a few weeks ago, these sunny months really have flown by. The Summer so far here at Millbridge Court has been so wonderful & it has been an honour to host such incredible celebrations that have involved so many amazing industry professionals which we have had the pleasure of working alongside. Each celebration has also been so unique to the happy couple themselves which is always such a delight for us all to see. 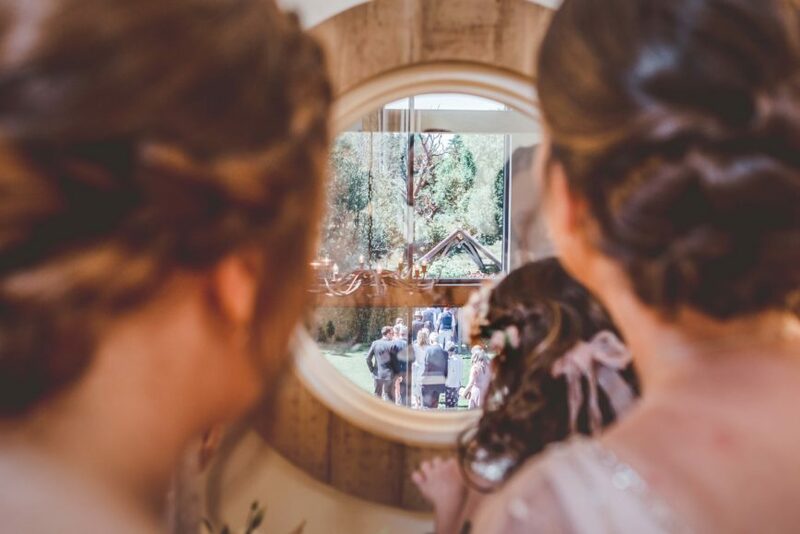 We have already been lucky enough to receive beautiful imagery from a handful of talented photographers who have joined us throughout the past four months, so we thought we would put a selection of those pictures together for you all to illustrate just a few things that we love about Summer Weddings here at Millbridge Court!